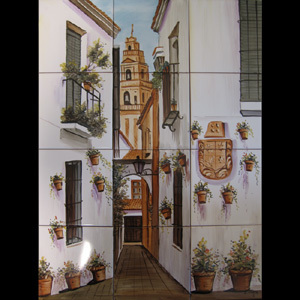 Our beautiful tile murals / custom murals are authentic to the last detail and hand painted in Spain. Nearly all of our murals feature traditional Spanish scenes. These tile murals are perfect for use as a kitchen backsplash or anywhere in your house to add the perfect mediterranean accent to your decor. 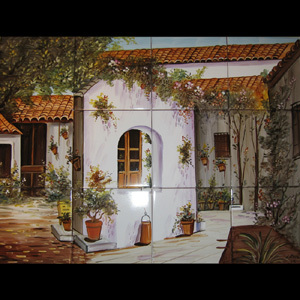 We also make custom tile murals in Spain. Just send us a photo of the mural you would like and typically the same pricing applies in most cases. Please allow up to 12-16 weeks delivery for custom murals since they will need to be shipped overseas.